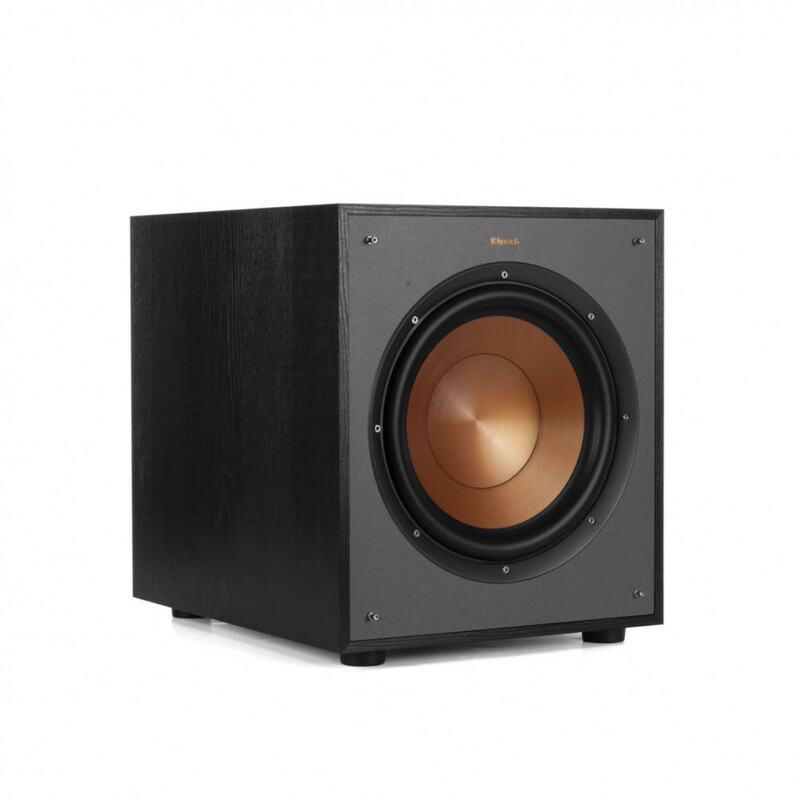 The Klipsch R-100SW subwoofer delivers incredibly deep bass via a 10" front-firing driver featuring a spun-copper IMG woofer and all digital amplifier. Dimensions: 14.5" x 12.5" x 16.4"
maximum output, detail, and power. 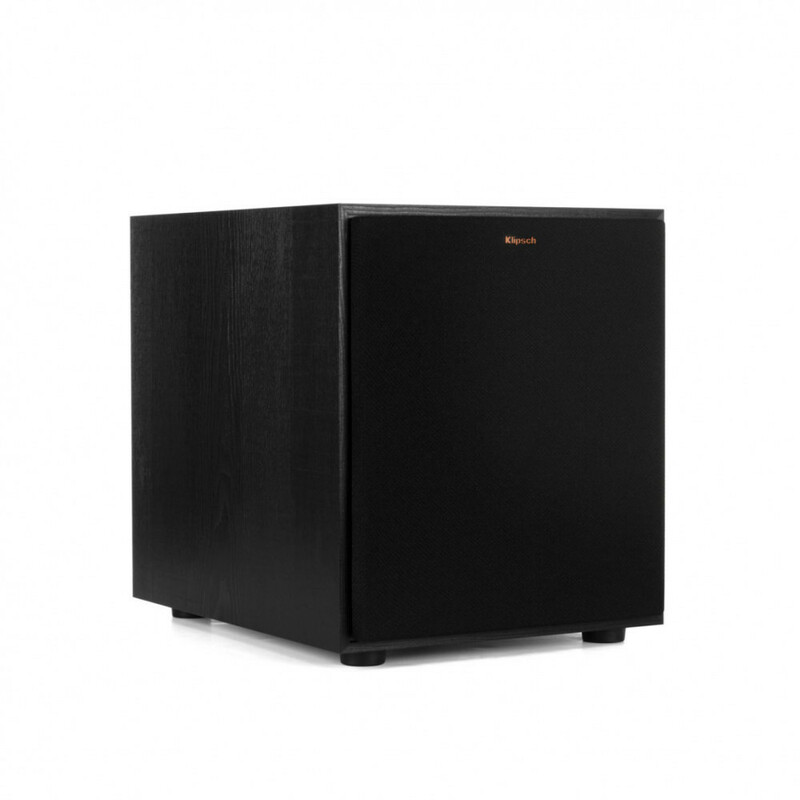 speakers and establish the ideal level of bass for your room. 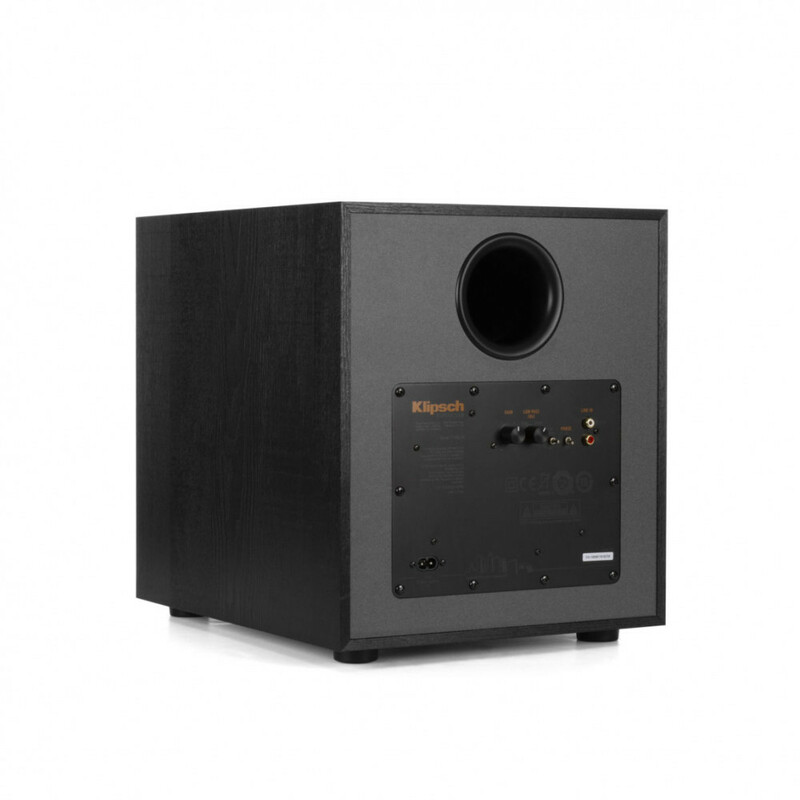 Ensures compatibility with home theater receivers. Indicates when the system is on or off. Adds a refined look that is acoustically transparent.